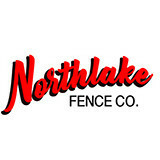 MY GRANDFATHER STARTed THIS COMPANY IN 1948 HE WAS A MASTER FENCE BUILDER HE AND MY DAD WORKED HARD TO GROW THE COMPANY . MY DAD WAS A MASTER OF HOME IMPROVEMENT AND AFTER RUNNING THE COMPANY FOR 25 YRS RETIRE TO MY BROTHER . 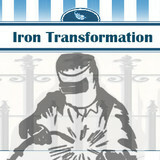 MY BROTHER WAS A 1 ST CLASS WELDER AND WORK HARD AND MADE OUR FAMILY BUSINESS STRONG. I BECAME HEAD OF THE COMPANY IN 2004 AND MY FAMILY WORKS HARD TO GET THE JOB DONE THE RIGHT THE FIRST TIME . 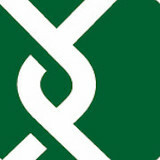 Locally owned,ACE Fence has been in business since 1960. ACE is available to serve all your commercial and residential needs as well also providing retail material sales to the public. Griffin Fence of La L.L.C. We offer the best in Gate and Fencing services. Please feel free to reach out with any questions or business inquiries you may have. Your Pearlington, MS fence installation and repair professional will work with you to create your ideal fence. Fence installation or replacement. If you are in the market for a brand new fence, a contractor’s services will include walking you through various fence styles and materials, determining a suitable height, ensuring that all fence designs and plans are compliant with Mississippi building codes, and that the fencing meets both your stylistic and security needs as the homeowner. Fences and gates must complement the grade of your property as well as the type of soil you have, so the contractor should always plan around these considerations. Additionally, if you don’t know exactly where your property lines are, he or she can commission a survey for you. 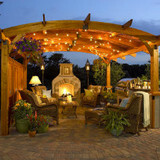 Find a fence contractor in Pearlington, MS on Houzz. Narrow your search in the Professionals section of the website to Pearlington, MS fence contractors. You can also look through Pearlington, MS photos to find examples of fencing and gates that you like, then contact the professional who worked on them.